During Programme No. 11, 16 May until 6 June, 2010, exhibition “Terminus” by artists Iveta Vaivode (1979) and Alexander Gronsky at the Kim?/ FK Gallery. Exhibition “Terminus” looks at the outskirts of a city – the marginal territory which is neither city, nor country. The photographs exhibited at “Terminus” reveal the rich visual texture of this borderworld and researches the place and the role of a human being there. 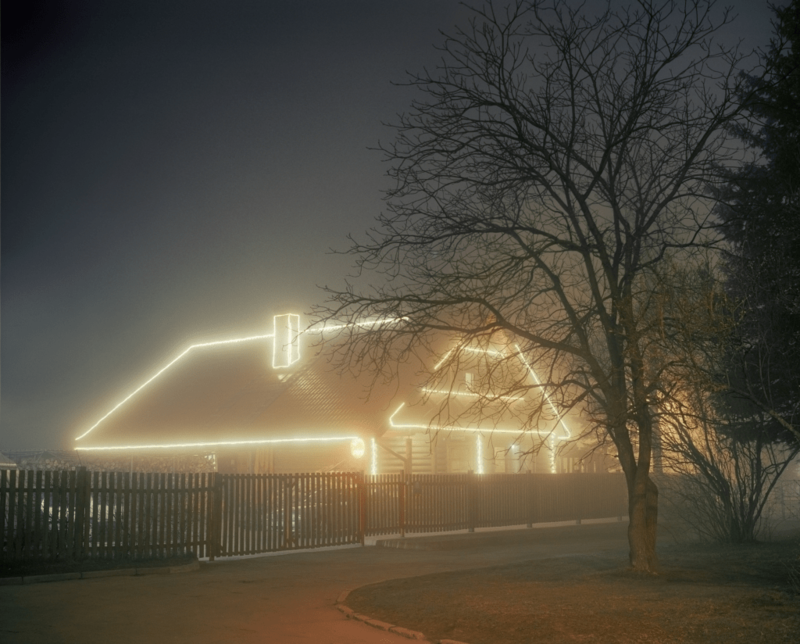 Two years ago two artists independently of each other began work on a series of photographs – Iveta Vaivode in Riga and Alexander Gronsky in Moscow. When they met, it became clear that both artists had been working on very similar themes. In her series “Terminus Riga“, Iveta Vaivode begins her research of the city at Riga tram termini. While photographing the outskirts, the artist met the local people and heard their stories, and thus slowly the envisaged topographical research turned into a rather personal contemplation on her native city. Series “Pastoral“ by Alexander Gronsky states his attitude towards the possibility of modern idyllic landscapes. 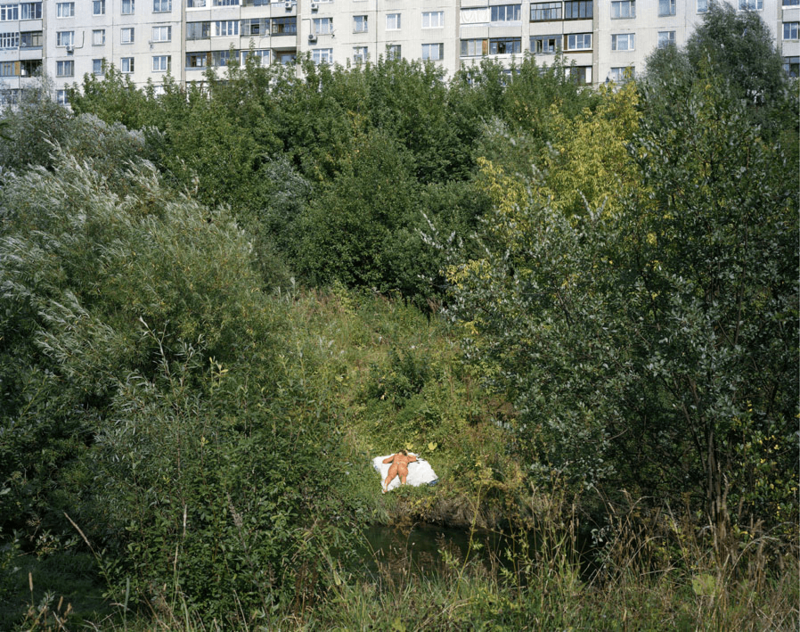 Alluding to the traditional motif in painting, the artist says, “My aim is to find the symbols of contemporary idyll.” The photographs were taken at the outskirts of Moscow – places where city borders chaotic wilderness. Places where concrete buildings and modern infrastructure exist alongside unrestrained fields of tare. Taking the advantage of colour photography works by both artists make a harmonious, at times even poetic impression. At the same time the narrative of the series creates certain tension. Iveta Vaivode and Alexander Gronsky live and work in Riga. Iveta Vaivode has graduated from the arts institute at Bournemouth receiving BA in Photography. She has participated in Is the Medium the Message? (Riga, 2008), Freshfaced and Wildeyed (London, 2008), the festival Kaunas Photo ‘07 (Kaunas, 2007) etc. Alexander Gronsky collaborates with photoagency Photographer.ru. In 2008, he was nominated for the prestigious Kandinsky Prize. He has participated in various international exhibitions PhotoWeek (Washington, 2009), Minus Ideology (Moscow, 2009) and others. Works by Alexander Gronsky have been well received at various competitions (in 2009 Linhof Young Photographer Award 1st place and Aperture Portfolio Prize winner, but in 2010 the 1st place in Paul Huf Competition and others). Iveta Vaivode thanks the State Culture Capital Foundation and Gallery 21 for the support in making of this exhibition.